The August 8, 2011 recessed meeting was called to order by Mayor Charles Norskog on August 22, 2011 at 7:30 P.M.
Mayor Charles Norskog, Councilpersons Richard Hawkins, Thomas Sims and Brian Carsten answered roll call. Motion was made by Councilperson Hawkins and seconded by Councilperson Carsten to excuse Councilpersons Traci Fallow and John Ruymann. Motion carried. Motion was made by Councilperson Carsten to approve the minutes of the regular Council meeting of July 11, 2011 as presented. Seconded by Councilperson Sims. Motion carried. Bernard Meile waived his time. Richard Wirtz also signed up for comments but did not make any. The City Attorney submitted a written report of legal activities as of August 4, 2011. Dan Thompson read a written report of activities as of August 19, 2011. Water: Dan will be doing a SOC (synthetic organic compounds) sampling on both wells before the end of September. Streets: During July the streets around town were restriped. All catch basins and drainage sumps were cleaned under contract from DOT. Dan also included in his report a cost estimate for paving S Newton between Eagle and Newton, north to the intersection of Harris Ave. and S. Newton. Dan will go out and ask for 3 bids and present those to Council. Park: One swing repaired. The automatic sprinkler system is not working; however, Dan has been manually operating the system. Flood Authority Update: Dan read an update report wherein a contract has been signed with the State Office of Financial Operations meaning the State is paying for the funding of the Flood Authority thru the biennium of 2013. A two-year draft work plan has been created; a contractor to complete the lower basin hydraulic mapping will be selected this week; a new budget for the next two years including $100,000 for a study of bridges primarily dealing with Sickman Ford Bridge. 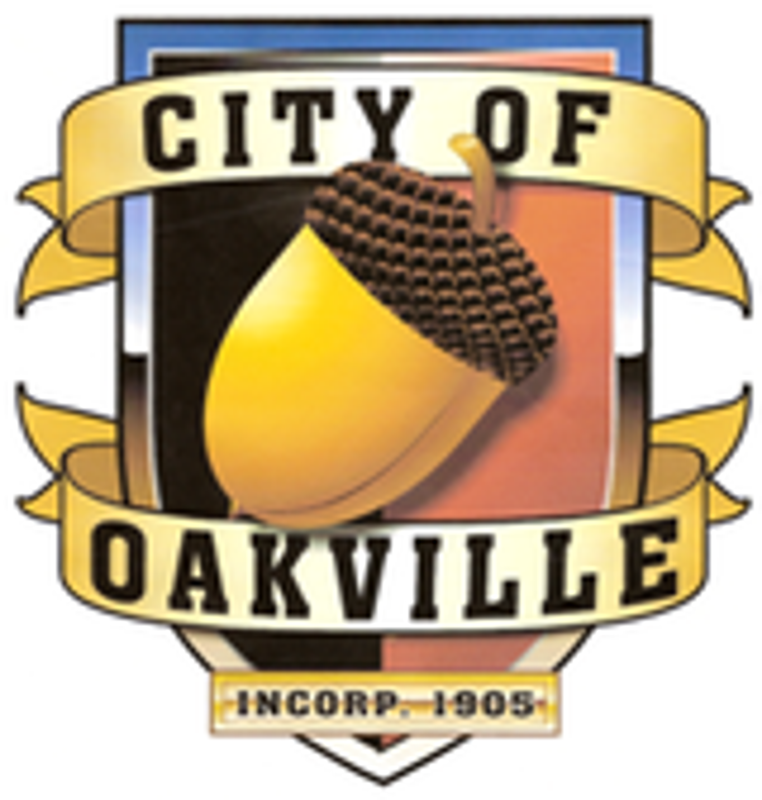 Also the City of Oakville is a member of the executive board committee and will have better input on local mitigation efforts. The State Street Harris box culverts installation by the Chehalis Tribe that was to begin in August has been delayed until next year due to the project manager suffering a stroke. Business Licenses : After discussion dealing primarily with the enforcement issue, Councilperson Sims made a motion to “kill” the draft ordinance 587 for business licenses. Seconded by Councilperson Carsten. Roll call vote: Councilperson Carsten, yes; Councilperson Sims, yes; Councilperson Hawkins, yes. Motion carried. The City Attorney asked Council to take a look at Chapter 5.12 of the Oakville Municipal Code, Itinerant Merchants and Peddlers. If the City is not going to require licensing for in-town merchants it can be somewhat difficult to say that someone coming in and soliciting has to get a license. He asked Council to take a look at Ord. 512 as to whether or not to rebuke the ordinance. Fagerness Letter dated August 1, 2011 regarding the City’s offer to purchase water rights. The City Attorney will reply to Mr. Fagerness’ letter that the City’s present offer stands. John Sharp letter of July 13, 2011 regarding the use of electric vehicles on city streets. Councilperson Carsten asked to send him a letter stating if it is licensed then it can be on the street. Oakville Chamber letter of July 21, 2011 informing the Independence Day Parade and Bank Robbery Reenactment drew a crowd of over 1,500 visitors this year. Jim Vosper letter of August 8, 2011 requesting to speak to the City Council regarding several street and alley right of way issues involving parts of Newton, Eagle and Harris Streets. Mayor Norskog stated the City is in review of this with the building department and code enforcement official. Jim Dunivan letter dated August 7, 2011 regarding a recent water leak that has now been repaired and his request for relief. The City Clerk has credited the account as per Resolution 355. ORDINANCES & RESOLUTIONS: Ordinance 587, Business Licenses and Resolution 377, Business License Fee were not adopted. CLERK’S REPORT: The City Clerk presented Checks #16594 thru #16605 dated 07-27-11 in the amount of $3,710.10. Checks #16606 thru #16622 dated 08-05-11 in the amount of $13,619.54. Checks #16623 thru #16632 dated 08-19-11 in the amount of $4,256.11. Payroll Checks #11549 thru #11565 dated 07-29-11 in the amount of $13,326.08. Motion to accept the Clerk’s Report as presented was made by Councilperson Carsten and seconded by Councilperson Sims. Motion carried.